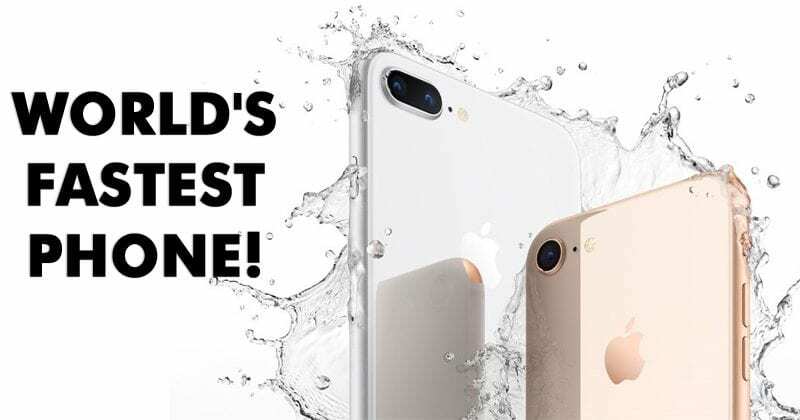 iPhone 8 Is World's Fastest Phone! News Gadgets iPhone 8 Is World’s Fastest Phone! iPhone 8 Is World’s Fastest Phone! iPhone’s new A11 Bionic chipset beats all competitors. No Android phone even managed to come close to iPhone’s new A11 Bionic chipset. Even, Apple’s own MacBook Pro failed to match the speed of iPhone’s A11 Bionic chip. Recently, the tech giant Apple introduced its most revolutionary device, iPhone X and along with the iPhone X it also introduced iPhone 8 and iPhone 8 Plus. Well, we must admit that Apple has changed its strategy and tried something new with the iPhone X. It maintains the similar traditional iPhone size but with a larger screen. The front of iPhone X is completely occupied by the screen and has no buttons. Well, let me tell you iPhone’s new A11 Bionic chipset beats all competitors. No Android phone even managed to come close to iPhone’s new A11 Bionic chipset. Even, Apple’s own MacBook Pro failed to match the speed of iPhone’s A11 Bionic chip. 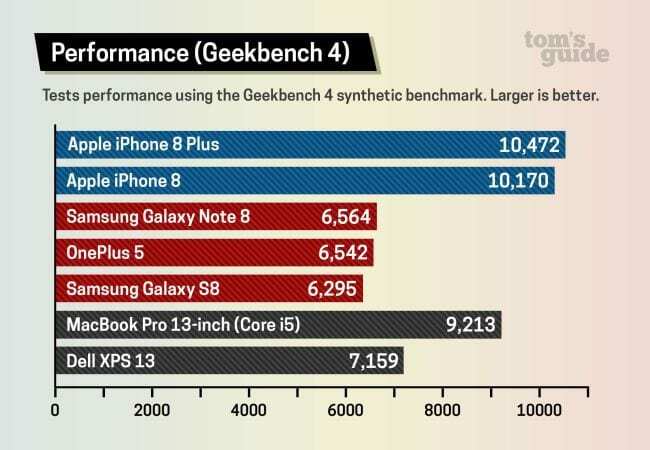 The recent Geekbench 4 tests from Tom’s Guide shows that iPhone is right now the fastest smartphone in the world beating Samsung Galaxy S8, Note 8 and OnePlus 5T. iPhone 8 has even managed to beat the 13-inch MacBook Pro, which uses a much more energy-intensive Core i5 processor. Tom’s Guide guys started the testing of iPhone 8 with Geekbench 4, which measures the all-around performance. In terms of Performance, iPhone 8 managed to score 10,170 which beats Samsung Galaxy Note 8, OnePlus 5 and Samsung Galaxy S8. 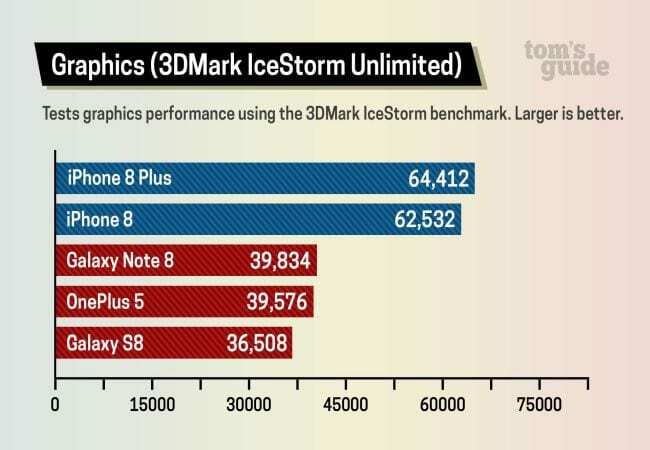 Then it comes to test the graphics performance, Tom’s guide guys took iPhone 8 to 3DMark Test. iPhone 8 managed to score 62,532 defeating Galaxy Note 8, OnePlus 5 and Galaxy S8. Next, comes the camera test. Well, recent reports from DxO claims that the iPhone 8 and iPhone 8 Plus are the best they’ve ever tested. iPhone 8 managed to score 92 points whereas iPhone 8 Plus managed to score 94 points. Let me tell you, iPhone 8 and iPhone 8 Plus outperforms the 90 points jointly achieved by the Android-powered HTC U11 and Google Pixel. So, what do you think about this? Share your views in the comment box below.